Compass Datacenters is experimenting with wearable technology in the data center in a pilot project. The company is outfitting data center workers with a combination of high-tech visors and other key technology that steers them through maintenance and other standard operating procedures. 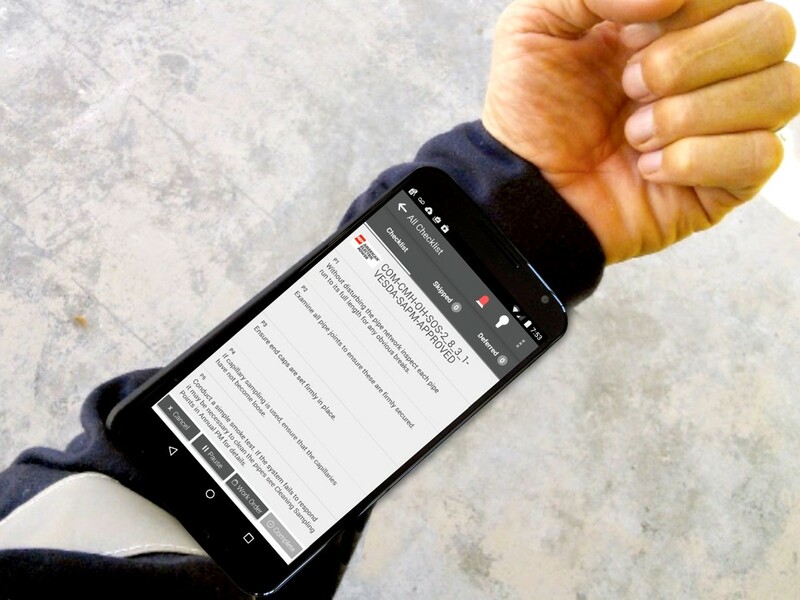 The pilot project links mobile and wearable technology together. It’s currently taking place in Compass’ suburban Columbus data center in collaboration with American Electric Power (AEP), which the facility was built for, and software-systems developer ICARUS Ops. By the end of 2015, Compass expects the wearable tech to be deliverable and ready for live use on the data center floor. The project will come together across three phases, with Compass and AEP currently collaborating on the first phase, application development. During the first phase, Compass’ extensive facility documentation and best practices are being converted from traditional paper documents into actionable, interactive checklists. The operational documentation checklists will then be fed into a software app designed for display on the wearable visor tech. A data center worker interacts with the checklists via the wearable technology, turning that employee into a walking, talking encyclopedia of knowledge about the facility, according to Chris Crosby, CEO of Compass. The second phase will add a web-based management console that will allow a customer to view the status of work being conducted, manage assignments of workers and incorporate that information into other systems. “Properly designed digital systems incorporate continuous improvement processes that push the throttles to the stops when it comes to a learning organization," said Joe Jones, president and founder of ICARUS Ops. Jones said these systems aren't static, but continuously evolving. A user makes a suggestion on a mobile device, it goes to an approving authority and the change is then quickly made online. It pushes instantaneously to all devices across multiple locations. "Once operators know their inputs are valued the system gets smarter every day,” said Jones. Interactive electronic checklists have been used in commercial aviation and other high reliability industries to great success. ICARUS Ops founders each have over 25 years experience as pilots in military and commercial aviation and years of experience applying best practices to other high reliability industries. The company believes there are a lot of parallels between commercial aviation and the data center industry. The interactive checklists track and time stamp activities, enabling audit-friendly records while ensuring that human error is reduced dramatically. The wearables also allow for complete interaction without having to take off personal protection equipment (PPE). It helps with OSHA (Occupational Safety and Health Administration) compliance by reducing the likelihood of shirking maintenance procedures due to inconvenience, according to Crosby.